There are a few authors who breathe a breath of fresh air into my soul every time I read them. Frederick Buechner is one of them. 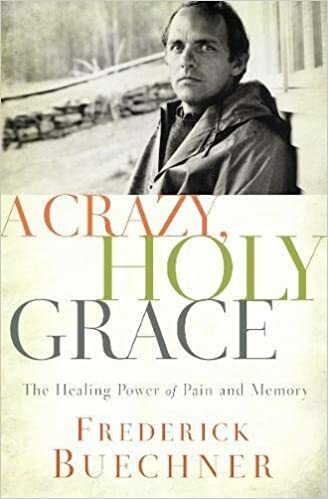 I just finished two of his books, A Crazy, Holy Grace and The Remarkable Ordinary. Actually, if there were one word I would use to describe both of these books it would be the word real. We need some real in our world of fake. While I recommend everyone read these books (and all his books for that matter), I believe those who are in the middle of grief, hurt and sickness, might find the most hope in their pages. Over and over again, a face of someone I know, who is in the middle of something difficult, popped into my head as I read. This was especially true in A Crazy, Holy Grace. 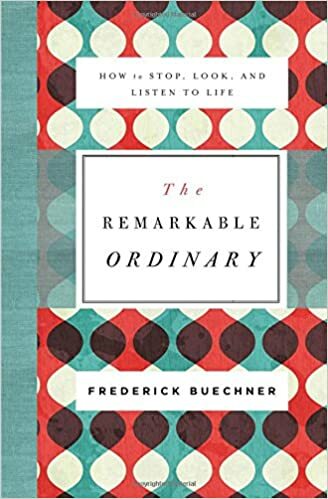 The Remarkable Ordinary was almost like a pause button. We don't pause and listen and think very much, or at least it seems that way to me at times. I needed to read this to be reminded to pause and listen. How about buying something for your soul this Christmas. One or both of these books might just be what your soul has on its Christmas list. I need to thank Handlebar for providing me these books free of charge to review. For many of us, the first thing we do every morning when we get up, and the last thing we do right before we fall asleep is go to the bathroom. Have you ever paused to thank God for your toilet. Toilets really are a gift from God. Can you imagine life without a toilet? Honestly, I can’t. What if you had the opportunity to provide a toilet for someone who doesn’t have a toilet? What if you could provide a toilet for an entire village? We have the opportunity to do just that for our village in Haiti. Viello is in need of toilet facilities. We’re going to provide them with toilet facilities. This is an important step in reaching one of the "8 Benchmarks" that Disciple's Village is working towards and that we are partnering with them to work towards in transforming the village of Viello. Our goal is is to raise $475 in the next 2 weeks. If we raise more than $475 it will go to the next Viello project. This will purchase the materials to build the toilet. Residents of Viello will be digging the hole for the toilet as well as carrying all the materials up the mountain (by "carry" I mean "hand-carry" cinder blocks, rebar, all building materials up the mountain...). There are two ways you can contribute to this project. You can give on Sunday or you can give online. Just make sure to mark your gift with "toilet." To quote Karen Nichols, this is a "no brainer" for us. Let's be generous. Yesterday I was reminded of a way to interact with the Bible that can lead to life transformation. It's called the S.O.A.P. study method. I first came across it in Wayne Cordiero's book The Divine Mentor. For some reason, I just sort of let it go in one ear and out the other. S.O.A.P. 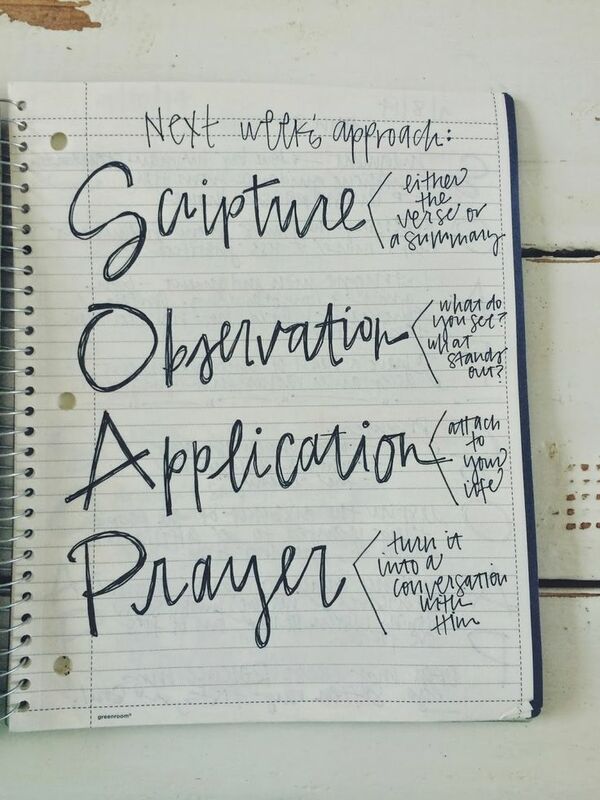 stands for Scripture, Observation, Application and Prayer. It is a way of getting more out of your time in God's word. It's quite simple. When you sit down for your daily quiet time, read the bible as you normally would, with one simple difference. Underline or make note of any verses that jump out at you with special significance. This is the basis for diving deeper and using S.O.A.P. ScriptureWrite out or type out the verse or verses that stuck out to you in your reading. ObservationWhat did you observe about the scripture that struck you. This can be one sentence or a whole book. ApplicationHow can you apply the observation so that it affects your life today. PrayerWrite out a prayer to God based on what you just learned and ask him to help you apply this truth in your life. It's that simple, but I believe interacting with Scripture on this level, over time, will lead to God doing a transformative work in your life. Try it out for a little while and then get back with me to let me know how it's going. This past Sunday I shared about Hub City's Sabbatical Summer. I will be taking a sabbatical May 16 - August 19. But this isn't just a sabbatical for me. It's a sabbatical for our church family. I believe God is going to do some great things in and through Hub City this summer. There have been a number of resources that have been helpful to me in planning for this sabbatical. There are a ton of resources out there. I encourage you to google around and learn something new. And let me reiterate, if you have questions please ask! Yesterday I posted the transcript of my sermon from Sunday sharing about Hub City's Sabbatical Summer. You can read it here. Below is the handout we gave to folks to answer questions. The word sabbatical has its roots in the biblical concept of Sabbath (to rest or to cease). Sabbath keeping is setting aside time that God consecrates and makes holy. Sabbatical leave is a time for our pastor to shift gears in order to rest, disengage, study, reflect, and travel in order to return to minister among us refreshed and renewed in body, mind and spirit. It is not a time for routine work, mid-career assessment, job search, and not a vacation. Sabbatical is more than a vacation from meetings, budgets, sermons and people in need. It is a time for Jonathan to receive spiritual nourishment and a change in perspective in order to deepen his relationship with God, himself, and his family—a season of spiritual growth. This special time will also be a season of growth for the entire congregation. A secondary definition of sabbatical is “a break or change from normal routine.” This is what this summer is going to be for Hub City. We have some strategic things that are going to happen that will help us become healthier and stronger as a church. How long with Jonathan be on sabbatical? Jonathan’s last Sunday before the beginning of his sabbatical will be May 14. His first Sunday back will be on August 20. What will Jonathan be doing on Sabbatical? Jonathan’s time will be divided into three parts. First, there will be times of silence and solitude for connecting to and hearing from God. Second, there will be times of travel with family, revisiting places that were essential to his spiritual development. Third, there will be times of learning and study. Who will pay for the Sabbatical? Jonathan has applied for and received the Clergy Renewal Grant from the Lily Foundation. This money will not only fund his sabbatical activities but also provides funds for the intentional interim and church-health activities. Will Hub City just be in a “holding pattern” while Jonathan is away? Absolutely not! We have some strategic activities planned to help the Hub City Church family grow in relationships with each other, make more of a difference in this community and grow as disciples of Jesus. It is important to remember that the sabbatical is a two-way process: While Jonathan is on his journey of renewal, refreshment and reflection, we will embark on a journey as well. Will Jonathan be in contact with Hub City during his sabbatical? An important part of a sabbatical is to make a complete break from things. The only people who will be in direct contact with Jonathan while he is away will be his family. Is there anything I can do for Jonathan? The best thing you can do is pray for him and his family. You can also lean into the Hub City Church family. Give. Serve. Participate. Invite. Be the Church! What if a question/concern arises while Jonathan is gone? Who do I call if there’s a crisis? Who should I contact for prayer? Who will cover Jonathan’s responsibilities during his absence? Below is a list of “who’s doing what” during Jonathan’s sabbatical. - This schedule will cement further as we get closer to the summer.